Home Home Buying and Selling Real Estate Attorneys to the Rescue! Contract got you overwhelmed? A real estate attorney can help! So many documents, so many things to do. So many deadlines, so many details. Thank goodness for your Realtor–especially Nancy Miller in the La Grange, IL area. 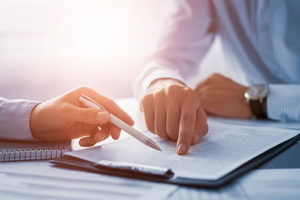 Nancy has a special recommendation, however, in step 4 of the home buying process, and that is to hire a real estate attorney. Isn’t that what my realtor is for? Yes, and no. Your realtor spends lots of time getting to know you, finding out about your needs and wants in a home, showing you properties in your preferred area and in your price range, and matching you to the right home. He or she has also prepared all of your paperwork, communicated positively with the sellers and their realtors, coordinated the closing, and helped you find the right professionals along the way. Your realtor has kept your best interests at the forefront. Although not required by law in Illinois, most home buyers and sellers hire real estate attorneys to assure a smooth closing. In addition to all the work your realtor does, real estate attorneys also monitor deadlines, negotiate on your behalf, identify hidden charges, and can even help with pro-rating taxes when necessary. 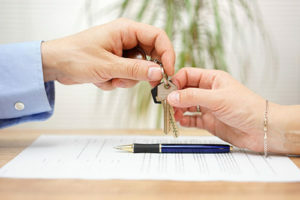 What are the benefits of hiring a real estate attorney? Real estate attorney fees vary widely, however, they are usually flat fees as opposed to hourly fees. According to Investopedia, the average cost is about $500. Depending on the property–the price, the location, and potential problems with documents, fees could be as low at $150 and as high as $1800. However, prevailing thought is that if you pay a very low fee, you probably get what you have paid for. The best way to find a real estate attorney is to ask your realtor, family and friends for a recommendation. However, you will definitely want to do your own research as well. A quick internet search would get you started, but you will want to go deeper than that. You can call the Illinois Bar Association or go to their website to find a list of real estate attorneys who are licensed to practice in the state. Also, be sure to start your search early, so you have time to properly evaluate a potential real estate attorney. What should I look for in a real estate attorney? How long they have been practicing and where they got their degree. The more complicated the contract, the more years of experience you will want them to have. Find out the attorney’s process, so you know what to expect. Also, sometimes real estate attorneys have a team, and you need to feel comfortable talking to anyone calling out of his or her office. Find out how you will be working together–especially how you will work together to resolve problems. Get clear on the billing. Make sure you know how they will be charging you (by the hour? or a flat fee?) and what issues could bring about a change in anything you have discussed up front. Bottom line: real estate attorneys protect your bottom line! Think of your realtor and your real estate attorney as your superheros. They both want you to get what you want. Whether you are buying or selling a home, this dynamic duo will make sure the process is a smooth and easy one. Advocating for you, negotiating for you, and keeping you on track. If you are looking to buy or sell in the La Grange, IL area, put Nancy Miller, Realtor with Coldwell Banker on your team. With over 25 years of experience, she brings both extensive and local experience and does it to the highest ethical standards. Contact her today!